Note: Because the Birthday Sale program happens on the weekend break, then we remain the Sale until 00:00 AM - January 17, 2017. Best regards. We're proud to be on the right side of one exciting year of Form Confirmation Emails and are grateful to the many customers who've chosen our add-ons to power their businesses - including you! 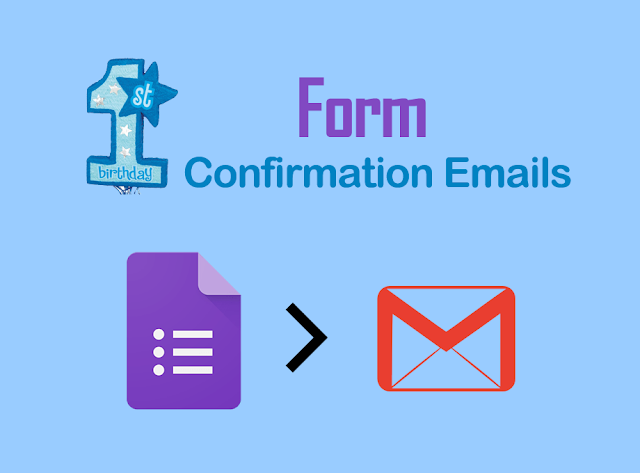 Get 40% off "Form Confirmation Email" add-on Pro Edition, just go to your form and follow the links to purchase the Pro edition key, now it cost $3 ($5)!